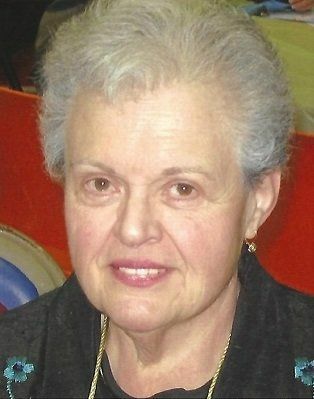 Biviano, Suzanne M. (nee Cottrell), - 84, of Hammonton, passed away peacefully at home with her children and family by her side. Born in Brooklyn, New York, Suzanne and her late husband Angelo moved to Hammonton in 1969. Suzanne was originally trained as a nurse and was a certificated Registered Nurse. She worked for Empire Savings and Loan and W.B. Kessler Home Health. Suzanne was very active with St. Joseph High School, having worked as part-time librarian, and she was a member of the St. Joseph Church Altar Rosary Society. Suzanne is predeceased by her husband Angelo and parents Charles and Martha Cottrell. Suzanne is survived by her children Charles Biviano of Richmond, VA; Nancy Cushinotto and her husband Ben of Hammonton, NJ; Angelo Biviano and his wife Amanda of Blacksburg, VA; and Suzanne Lally and her husband Jason of Newtonville, NJ. She is also survived by her brother Charles Cottrell and his wife Janet of Marion, OH. Suzanne was an affectionate and loving grandmother to Katie, Hannah, Lydia and Augustine. She will also be remembered by many close friends neighbors throughout the community, including Kathy and John, and Jeanette and Hugh. Family and friends are invited to attend her viewing Thursday March 21th from 8:30 10:30am at the Marinella Funeral Home 102 N. Third Street Hammonton, NJ. Mass of Christian Burial will be held 11:00am at St. Mary of Mt. Carmel Parish St. Joseph Church 3rd & French Streets Hammonton, NJ. Burial will follow at Holy Sepulchre Cemetery 124 S. First Rd. Hammonton, NJ. Donations may be made to St. Joseph High School c/o Football Program, 328 Vine Street Hammonton, NJ 08037. To share condolences visit www.marinellafuneralhome.com.